"... I don't eat my soup, I don't eat my soup!" That was once! 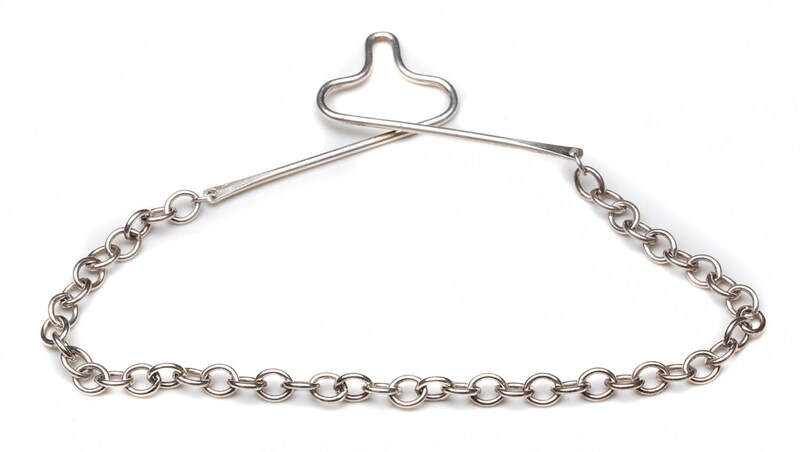 You simply thread the tie through the chain and carry the holder over the shirt button and the tie of the loved one is safe: the alternative to the tie-brace or tie-pin-with the advantage that it leaves no holes in the fabric. Material 925/000 Silver, proven total length approx. 19 cm length. The shipping by UPS takes place at the price of €7 within Germany, or €20 abroad. Shipping within Europe lasts about 2-3 days. If you would like a cheaper version with a different shipping provider, please let me know.